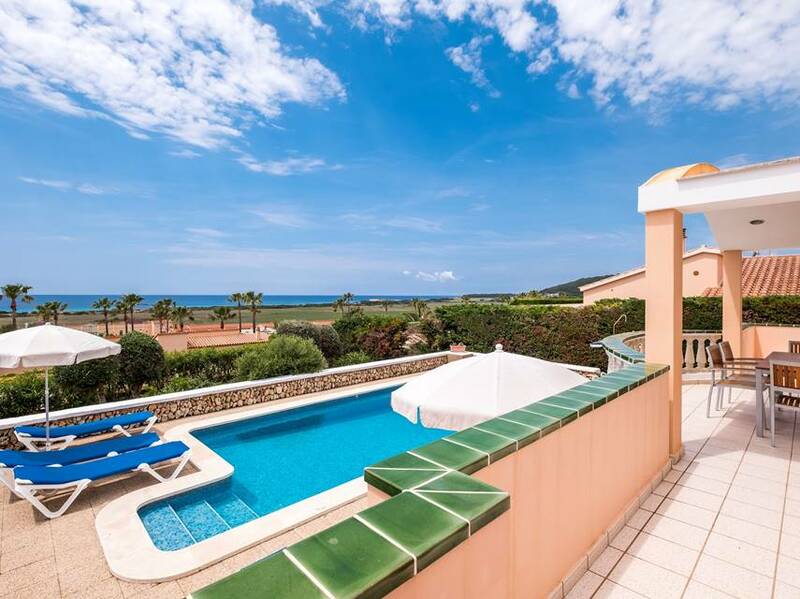 This single storey modern villa, situated next door to its sister villa 115 Aire, is located in a quiet street on the hillside of Torre Solí, with magnificent views of Son Bou beach and a superb location to enjoy the sunsets. 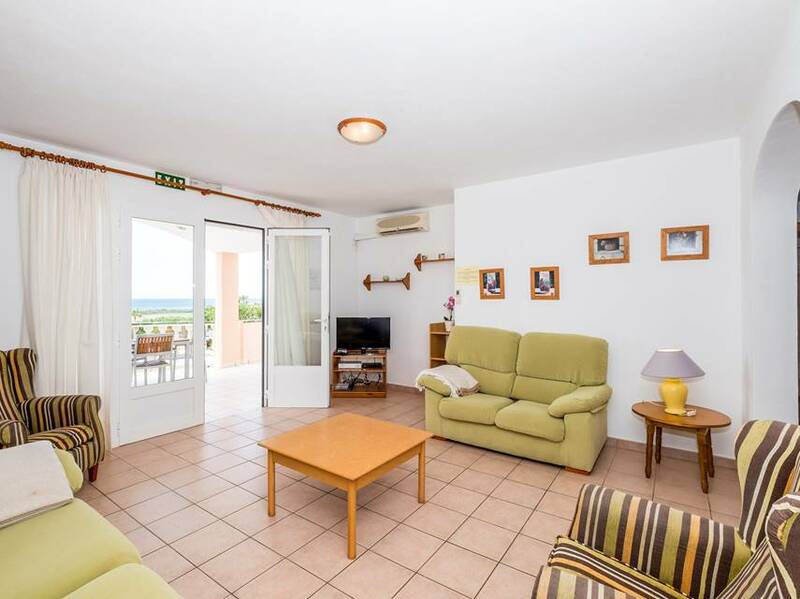 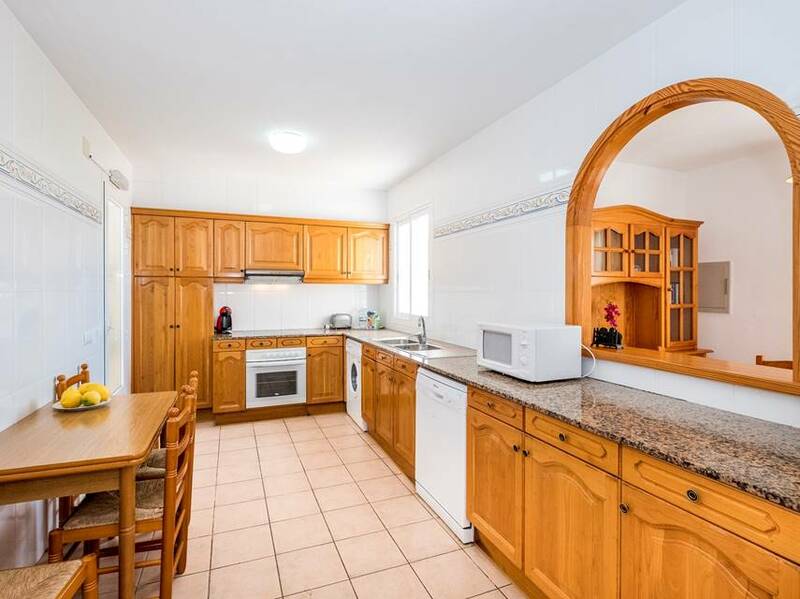 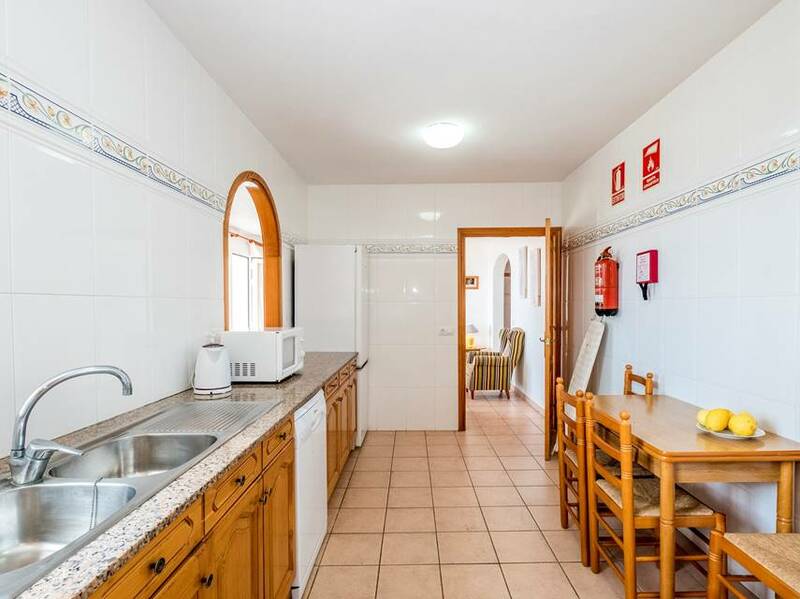 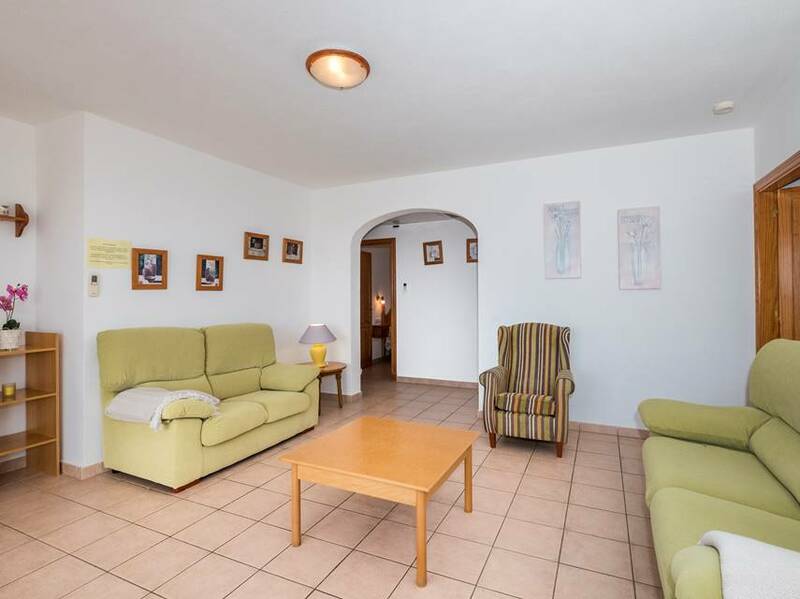 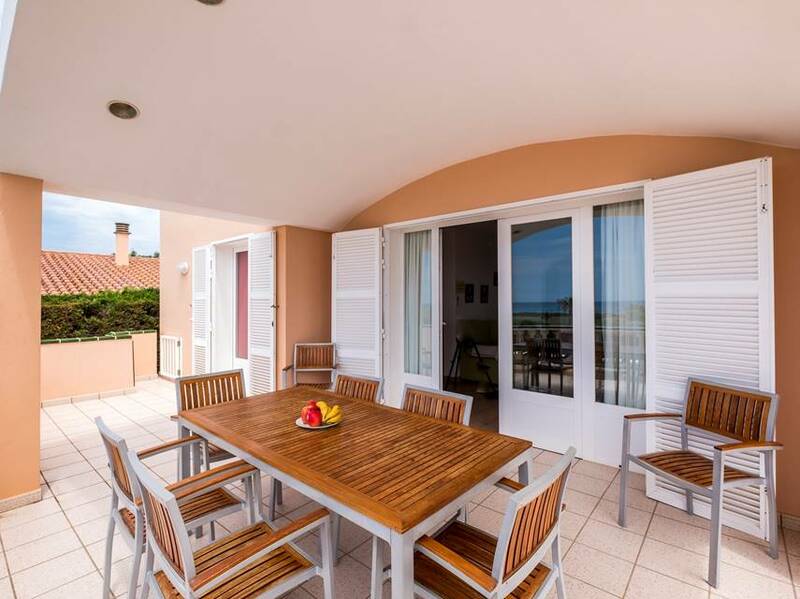 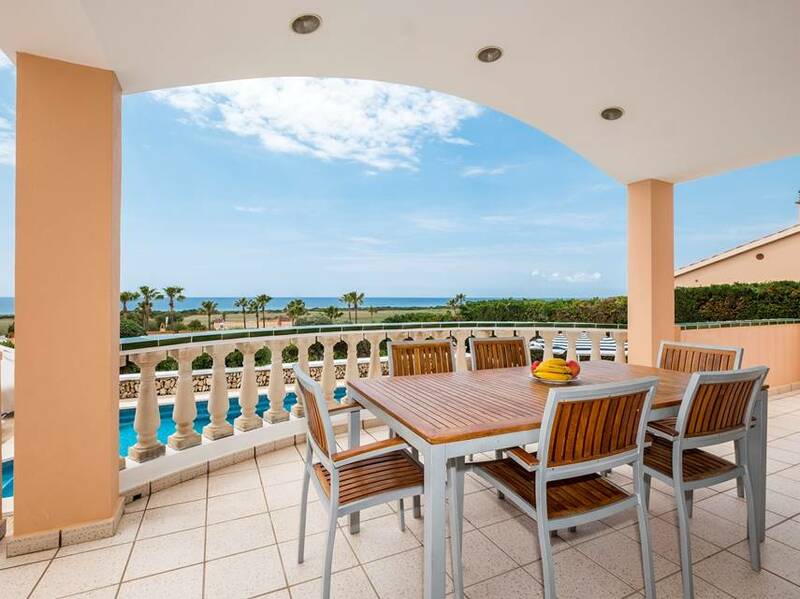 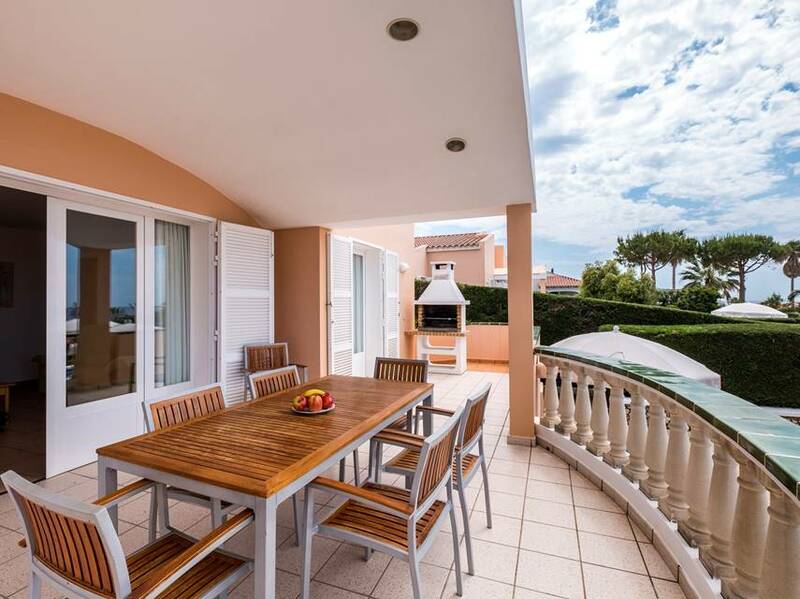 The property has a comfortably furnished living room which leads to a large covered dining terrace with a built-in barbecue and fantastic views of the sea To the right of the living room is the fully fitted kitchen with an adjoining dining area which also has doors leading to the terrace. 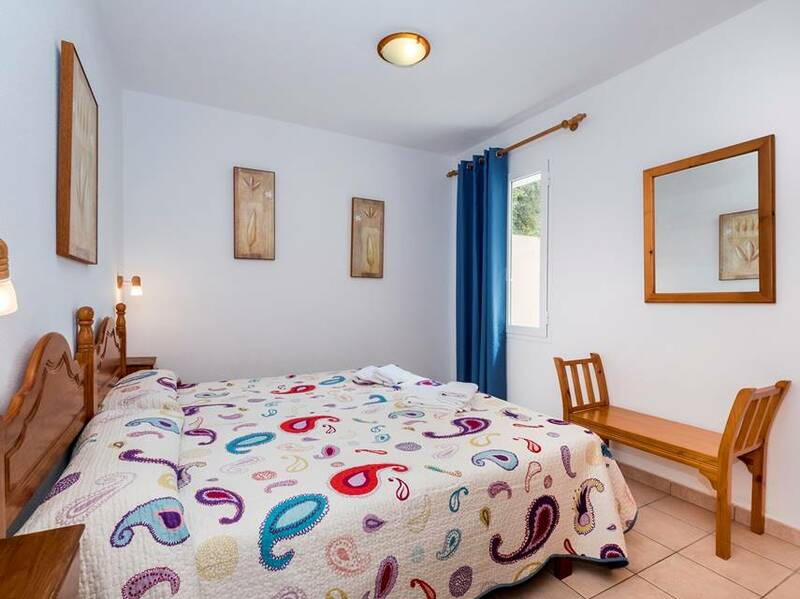 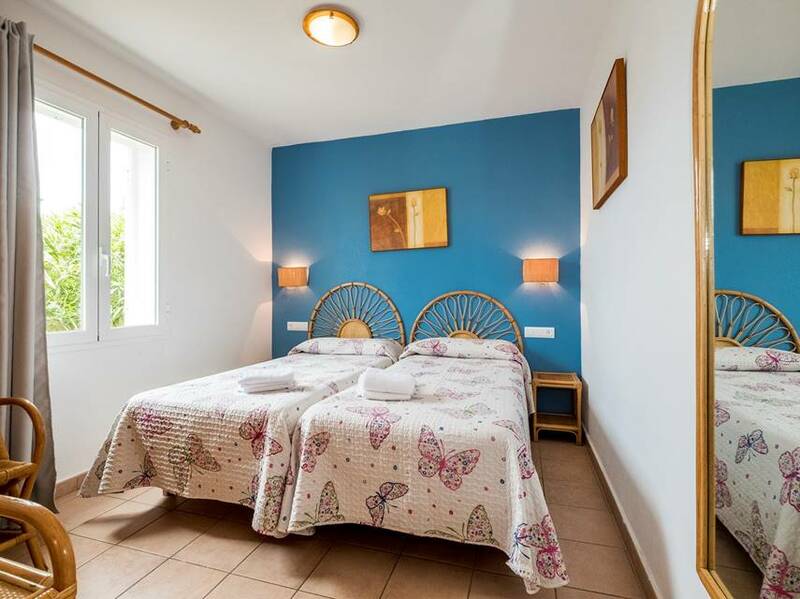 villa has four air conditioned double bedrooms. 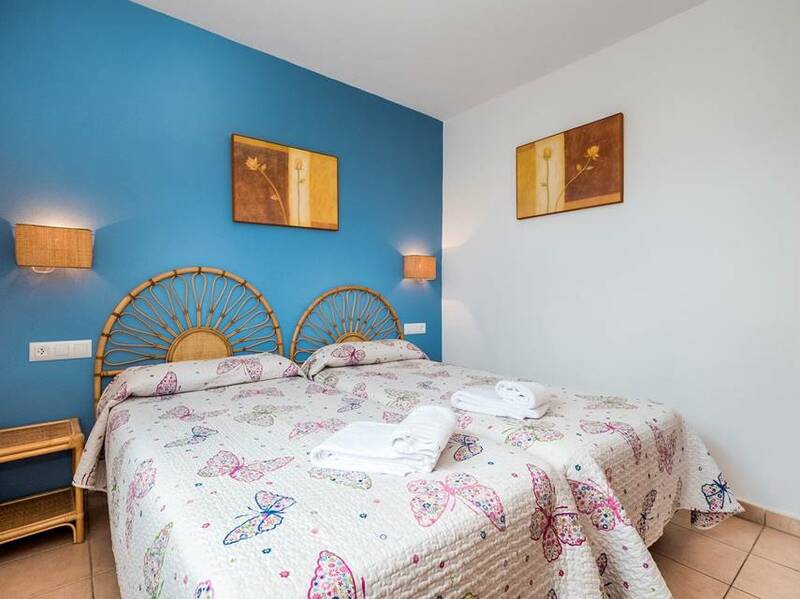 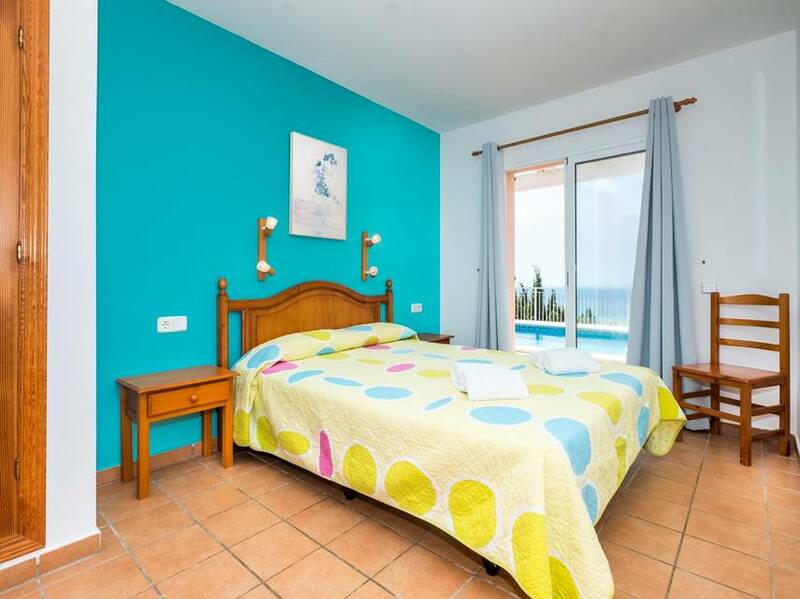 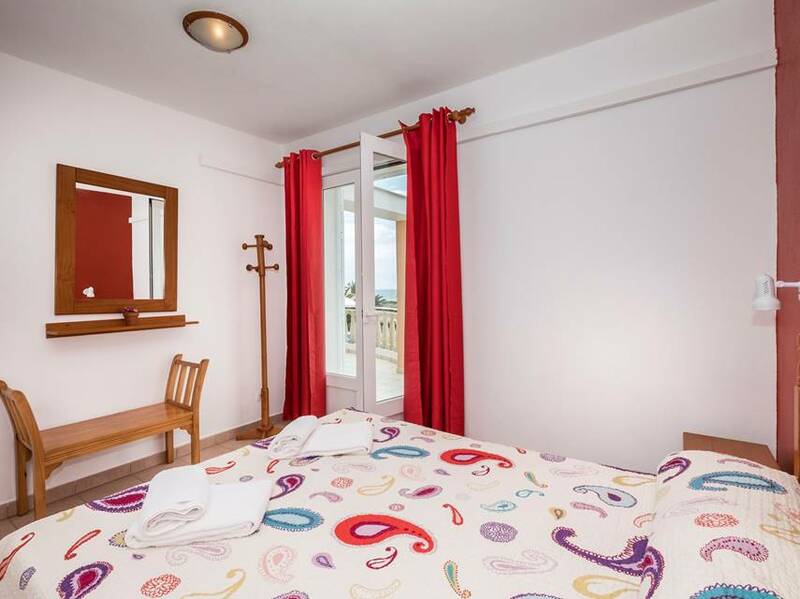 The first large bedroom has direct access to the terrace with sea views and features a double bed and an en suite bathroom which is adapted for the disabled. 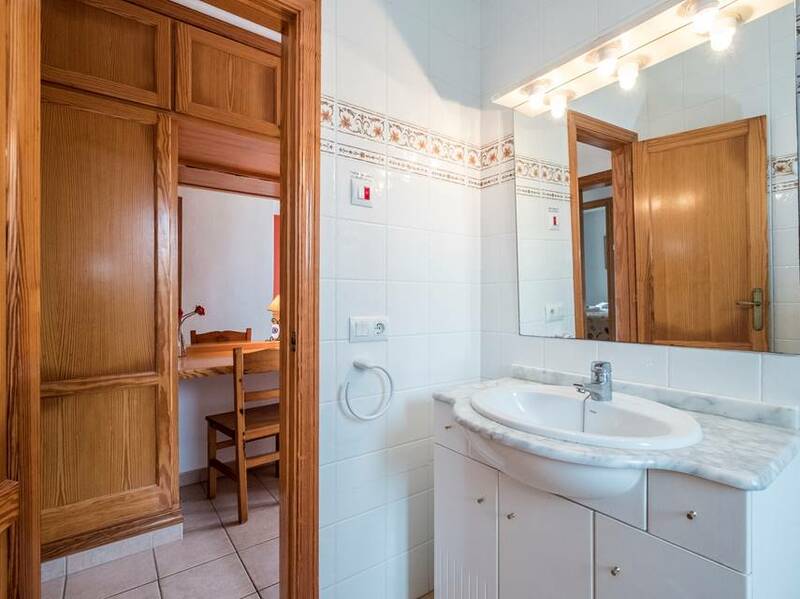 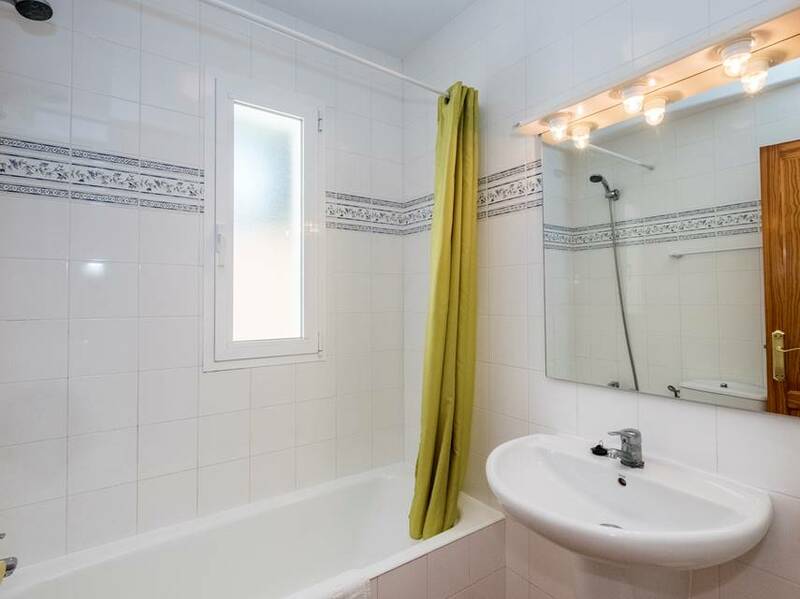 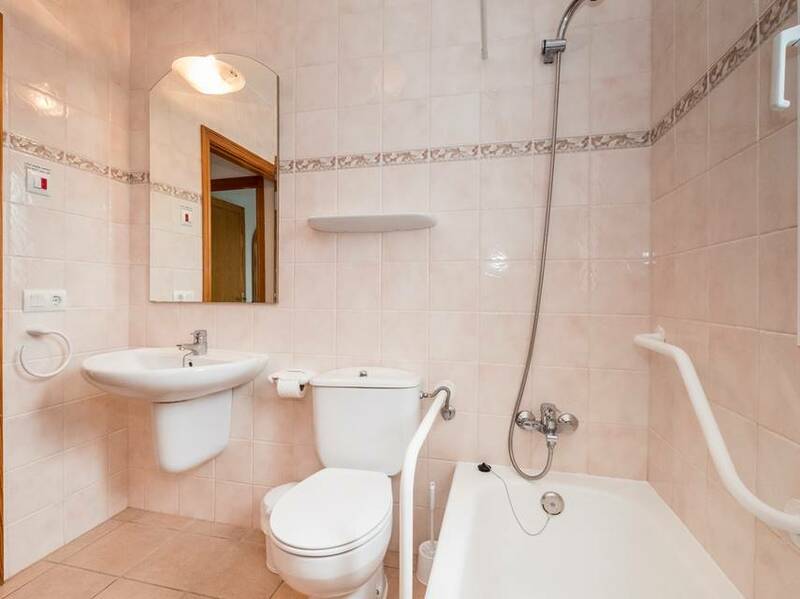 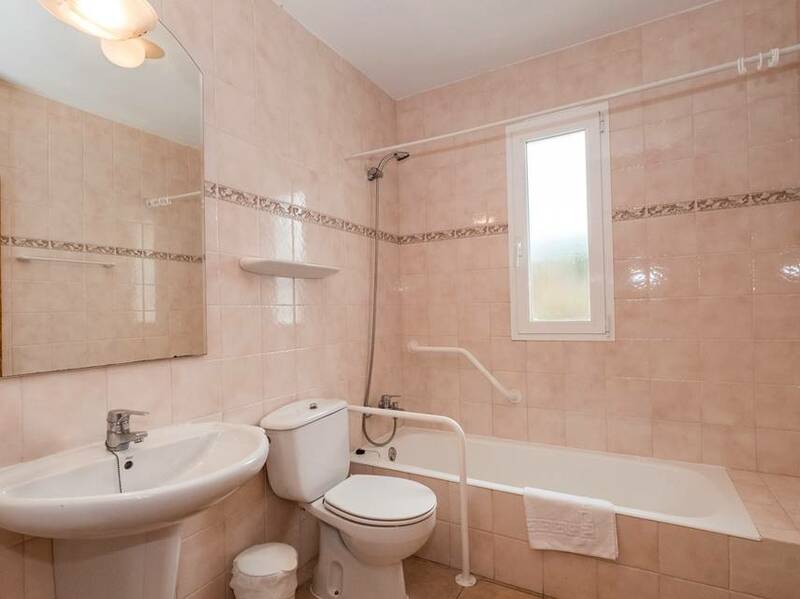 A further twin bedroom also has an en suite bathroom while the remaining two twin bedrooms share a separate bathroom. 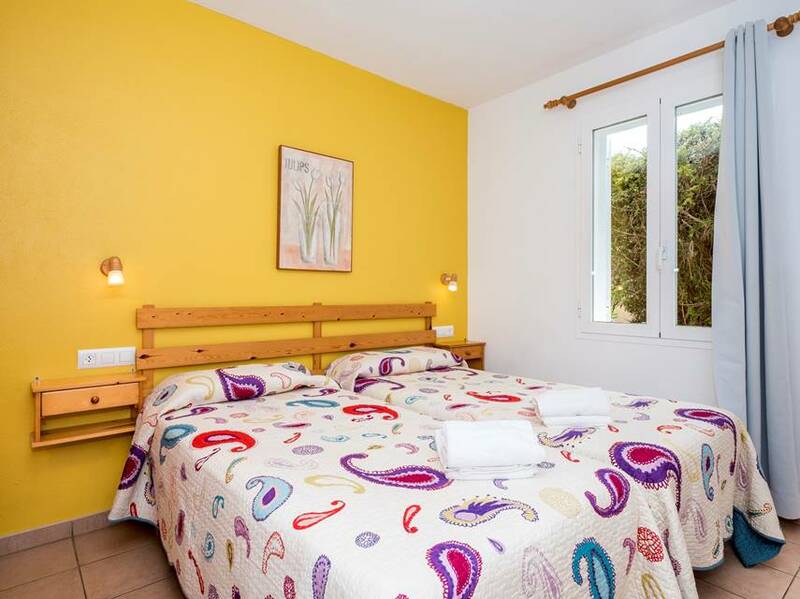 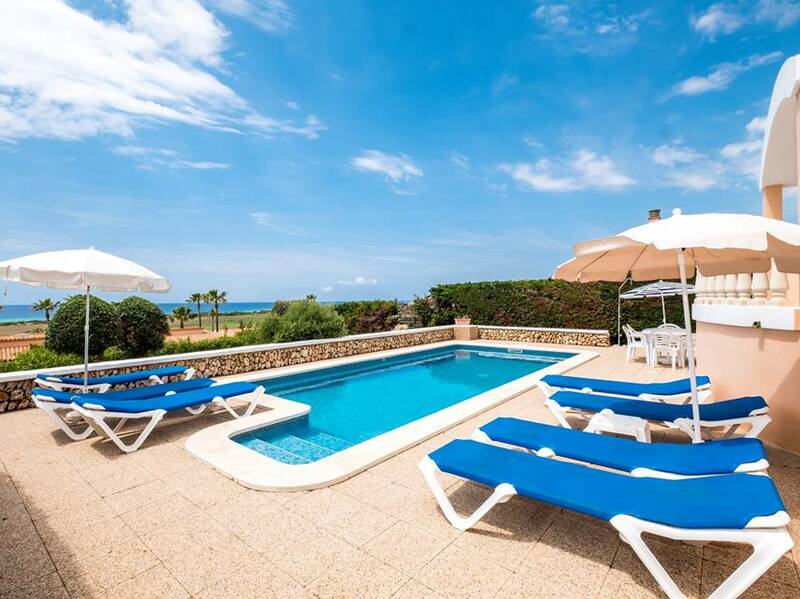 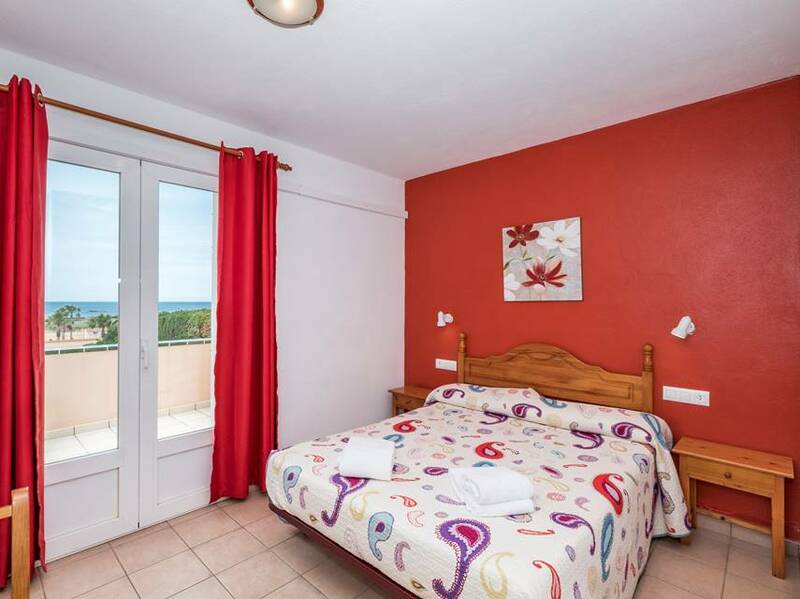 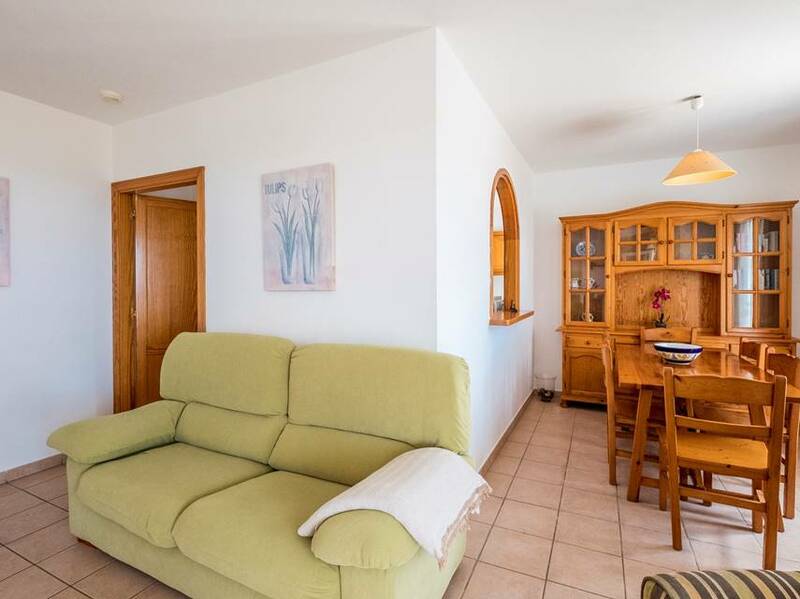 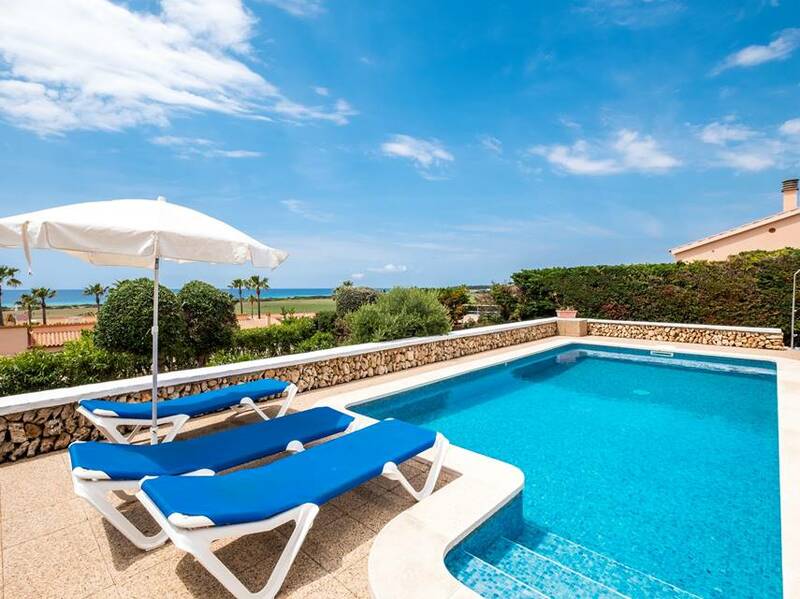 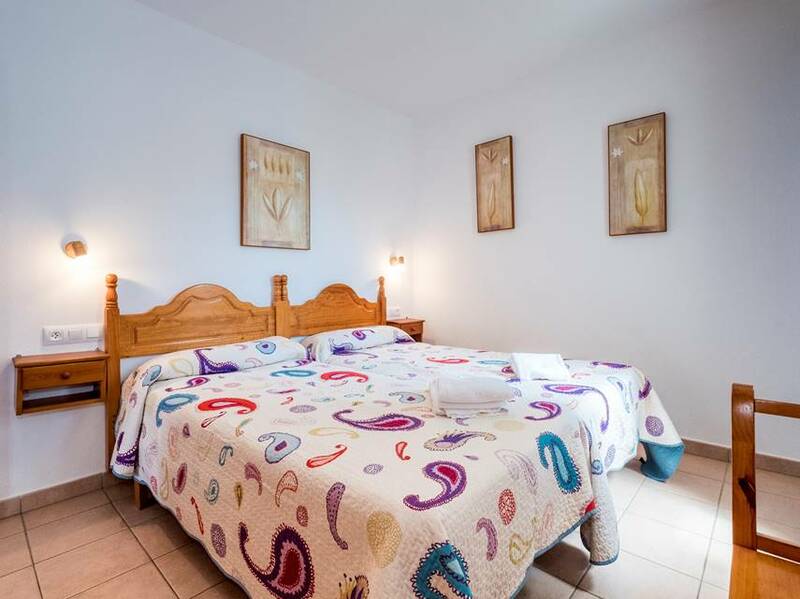 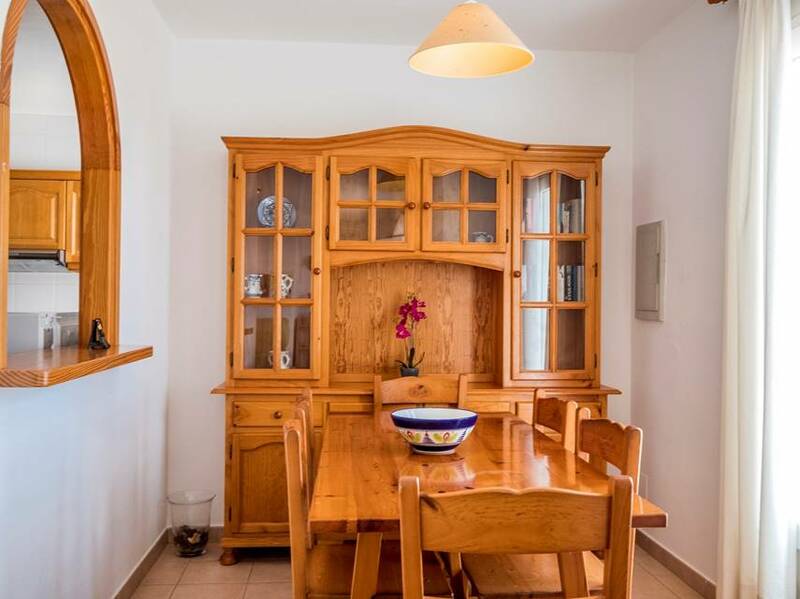 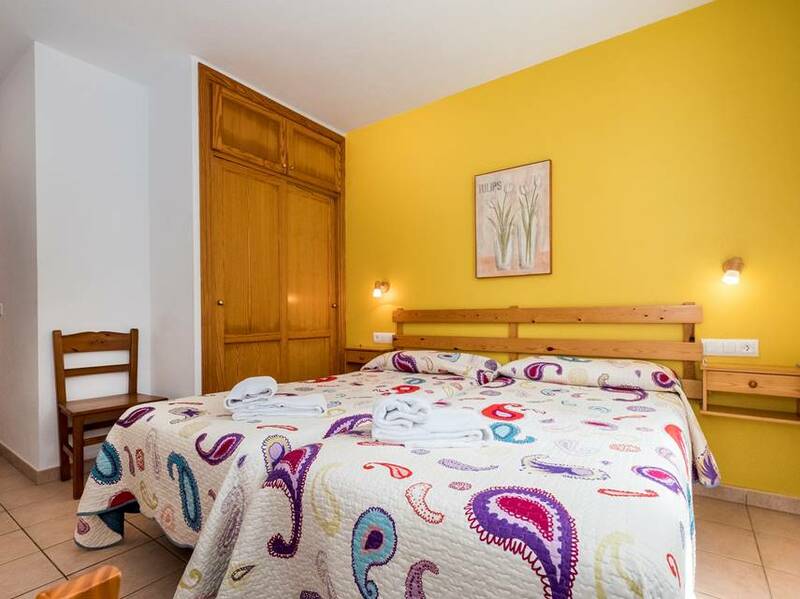 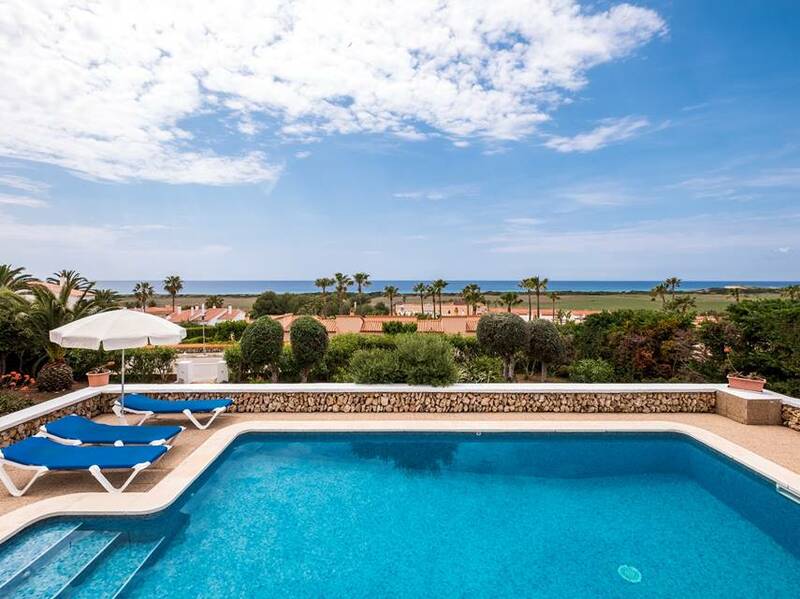 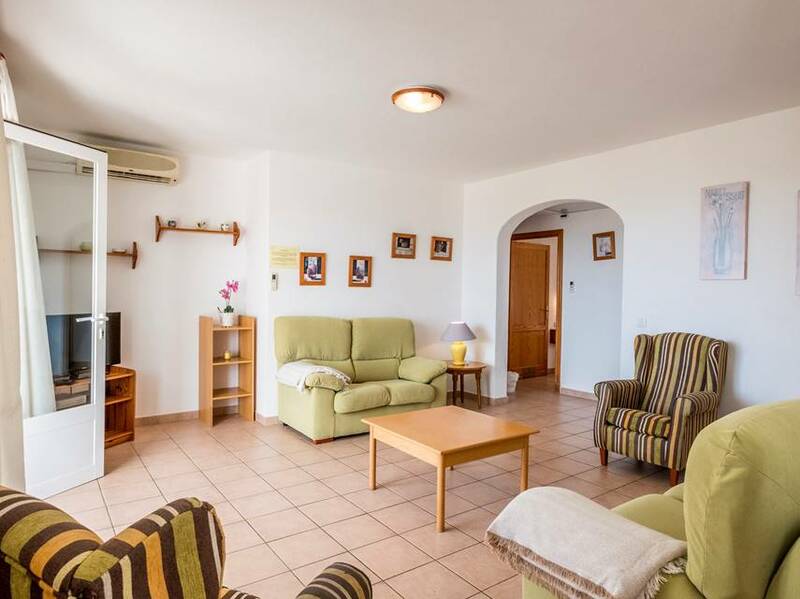 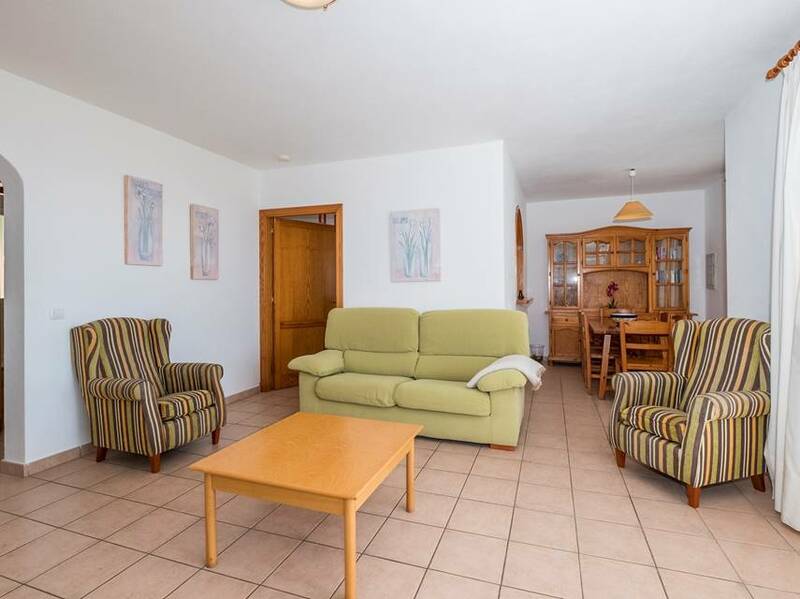 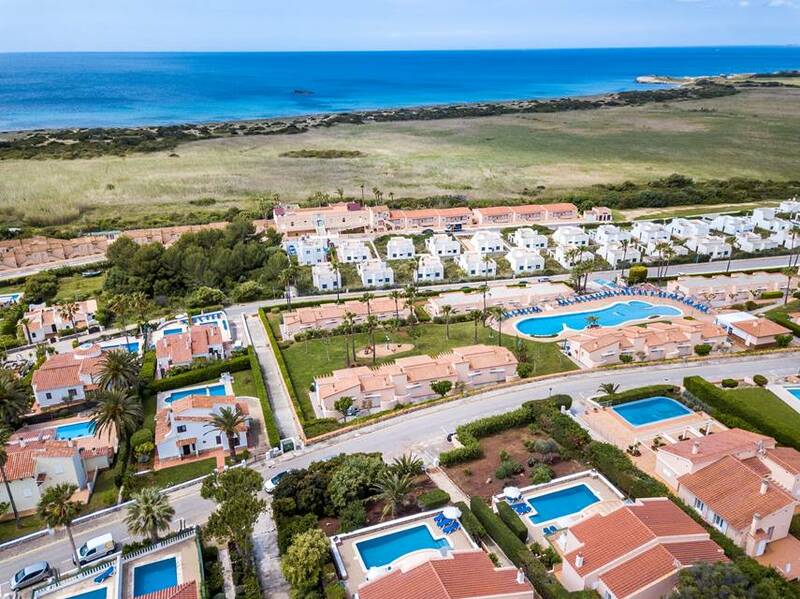 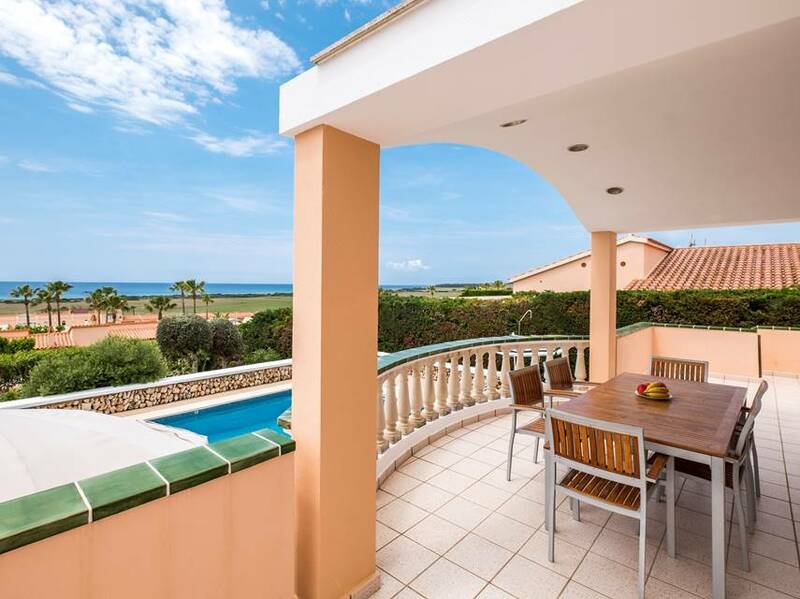 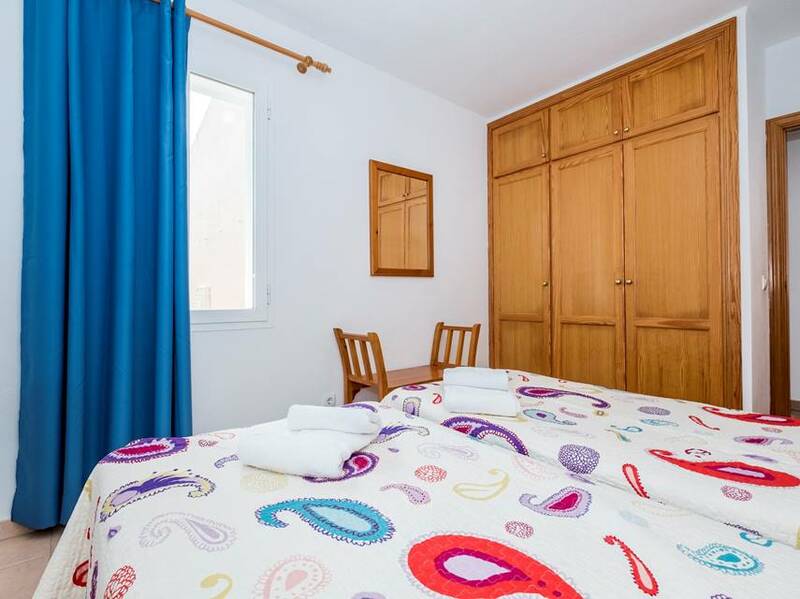 Both Villas 114 and 115 can be rented together - ideal for large families or parties wwanting to holiday together whilst retaining their own privacy.